It’s spring and with flowers blooming and birds singing, it’s a perfect time to celebrate the little insects that makes the biggest impact on our world…Bees! Honeybees are often the first bees we think about but have you ever noticed how different flowering plants attract different bees? I first became much more aware of this when a wisteria vine in our yard bloomed and suddenly, we had bumblebees. They found a plum tree to hang out in and when they got hungry, they’d make a “beeline” down the path to the hanging blossoms. But it was a documentary hosted by Peter Fonda called “Pollinators in Peril” where I first learned that there are over 20,000 species of bees and found out just how much we rely on bees. The film also introduced a gentle bee, the Blue Orchard Mason Bee which is indigenous to North America that pollinates, but doesn’t produce honey, and can easily be introduced into home gardens. Simply and amazingly, the world’s food supply depends on them. Bees not only help produce one-third of the all fruits and vegetables but many of those plants are then used to feed animals. Without their pollination, many plants would not bear any fruit. For example, almond trees, blueberries and avocados rely exclusively on bees. Because tomato plants have tight flowers, they depend on bumble bees to know just how to shake, or buzz pollinate them to release the pollen. Honey bees don’t have the ability to vibrate like bumble bees. The flight muscles of bumble bees doing this have been found to match the musical note, middle-C, which may open a new area of pollination research called sonication! Many plants also need multiple visits from bees. For example, it takes about 21 visits to strawberry plants or the fruit will end up being small and lopsided. (Hmmm…now I know what happened to the strawberries I was raising)! Ever wonder where the word “Honeymoon” originated? There’s a little known piece of folklore about a honey wine called mead that has aphrodisiac properties. In cultures that base their calendar on the lunar cycle, newlyweds would drink mead during their first month of married life for good luck. Besides being used in food products, personal care, beauty products, supplements and beverages, honey is used to cure some health problems. The ancient healing art called Apitherapy thrives in Bucharest where there is an Apitherapy Medical Center. Doctors there believe the hive is the oldest and healthiest natural pharmacy, and use bee venom to combat multiple sclerosis, pollen for indigestion and honey to heal wounds. Beekeeping traditions are deep and rich around the world, as it has been an intrinsic part of life for thousands of years. Rock paintings with graphic depictions of beekeeping date from 15,000 years ago! To harvest honey in the Himalayas, tribal leaders climb steep cliffs and jab at the hives to knock the honeycomb from Apis laboriosa, the largest bee in the world, into a basket, the method they have used since 11,000 B.C. Then it is lowered to the waiting tribe below. Risking their lives to gather the honey creates a deep appreciation for the tradition and the honey it provides. Slovenia is renowned for its apiculture. 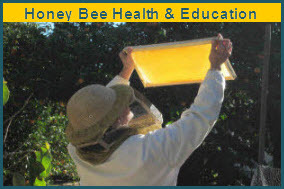 Here, beekeeping is called the “Poetry of Agriculture”. You can even go on ApiRoute excursions where you may meet beekeepers as you explore the natural countryside or discover bee homes painted in the Slovenian tradition of painting their hives and some believe it even helps bees remember which hive to come back to. In Lithuania, The Museum of Ancient Beekeeping not only has displays about the history of beekeeping but also unusual carved wooden sculptures that contain beehives. These pay homage to Egyptian, Native American and Lithuanian mythology and folklore. There’s an exciting development in urban beekeeping as bee lovers lobby to legalize beekeeping in cities where it is banned. Now, beekeeping is flourishing in Paris, Berlin, London, Tokyo, Melbourne, New York, Cleveland, Detroit, Minneapolis, Denver, Seattle, Portland, San Francisco and Washington, D.C. And the list of buzzing cities continues to grow. In Paris, bee hives are everywhere…on the rooftops of the Paris Opera, the Grand Palais and in the Luxembourg Gardens which also has an apiary school. In New York, the Waldorf Astoria’s rooftop is home to bees whose honey harvest of 300 pounds a year makes it into the hotel’s kitchen in delicious sounding sauces likeHabanero and Honey Scallop Sauce. Because bees raised in urban areas have access to such a wide variety of flowers, the honey has many flavors coming through, inspiring honey-tasting events and even contests between hotels. What if you could easily keep bees and increase your own garden yield and flower power? The sleek, black Blue Orchard Mason Bees, the bees introduced in “Pollinators in Peril” are super pollinators, but they don’t produce honey. For instance, it takes only 250 orchard mason bees to pollinate one acre of commercial apple orchards, whereas it would take 25,000 honeybees to accomplish the same task. Orchard Mason bees are indigenous to North America and come by their name because they pack mud into their nests like brick masons. To encourage these bees to settle in your garden, all you really need is a wooden box that has the perfect size holes and flowers or fruit trees for them to pollinate. You can make the box yourself, or order it online. And, what’s really fun is that you can order bees that will arrive in your mailbox! Other ways to get involved are the Adopt a Beehive in the UK and the Open Source Beehive Project where you can make your own smart beehive that will track where your bees go and the health of your hive. Everyone can celebrate and support bees by planting flowering plants in your yard and in your community. You’ll enjoy the beauty they bring and at the same time contribute to keeping bees healthy and prolific! A Bee That's a Delight to See!